If you successfully complete a mastery mission, should they give you enough emblems to go on all emblem slots for all seasons if you so desire to put them there? "So I just completed the mastery mission for the T-62A to get the ace tanker emblems (See attached screenshots) and I couldn't help but notice the payout was a single emblem. With the new customization changes, this means I can only apply this emblem to a single side of my tank, for a single season. This does not seem right to me. When you received these mission rewards before the customization changes went into effect, it allowed you to put these emblems on both sides of your tank turret across all three seasons. Now it is only good for one side on one season? Please tell me this is a mistake or the remaining 5 emblems can be credited to my account or something because getting that Ace wasn't easy and I was not expecting this to be my reward. Thank you very much for your time. I look forward to hearing from you. Happy New Year!" Edited by panzer716, Dec 31 2017 - 04:21. It’s a clear “duh, yes” that I hope gets fixed. Your emblems don't change across seasons. On a different note, why would you want to have 2 mastery emblems on either side? The point is to show off you were able to get a mastery in the specific time period. Emblems most certainly change across seasons. There are 2 slots, one for each side of your turret, aka 6 emblems that are needed for the 3 seasons, winter, summer, desert. I'm not really sure what you are saying in the second part. There are 2 emblem slots on your turret, I want to put my mastery badge on both sides of my turret. That's what i mean by "either side". Does that clear things up? Edited by panzer716, Dec 31 2017 - 05:36. Some people seem to be confused about this, so here's the clarity. You need SIX (6) emblems to put one on each side of your tank, for each of the 3 seasons. 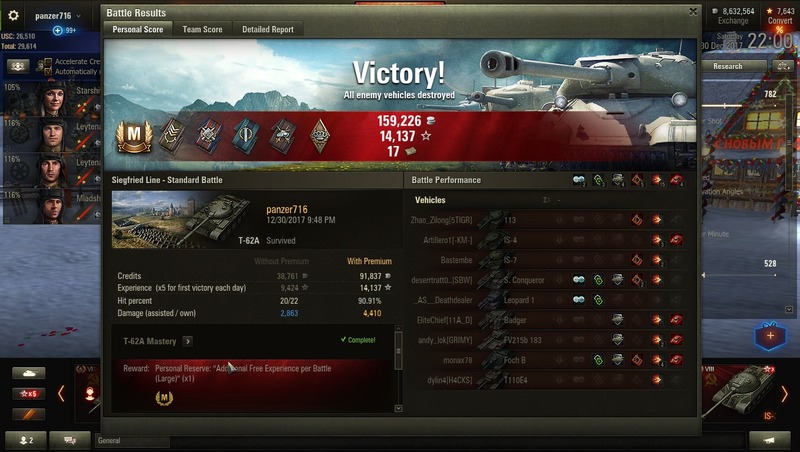 Previously, I received the Ace in the AMX 40 and received 6. I know this because all 6 of them are on my WZ-111 5A (a tank that I haven't aced, but I will one day). For the Conqueror mastery, since I only received 1 - I put that emblem on the Matilda (I have 16 Aces in the Matilda - three 10 kill games)) since it only takes one emblem on its turret. Edited by __WarChild__, Dec 31 2017 - 06:00. And so you have. Like I said, I guess I just didn't search good enough. At least you are in the same boat as me so you understand. Haha Super Conc is OP by the way. You will need to do A LOT to get an ace in that. When Update 9.21 was released, the Tank Mastery missions were still under the pre-9.21 condition. So you'll indeed get one Ace Tanker emblem once you complete it. However, because of the update, you can remove previously earned Ace Tanker emblems from other tanks and then you can mount them on another. For instance, my colleague's IS-3 has this emblem. He can now remove it and put it on any other tank that he has. Hope this clears things up and have a nice day. I understand your sentiment regarding this matter about your emblems. They are more than just emblems; these are symbols of all your hard work and perseverance in-game on your tanks. The most that we can do is tag and forward this ticket of yours to the Devs so they can look in to. This is indeed the most that we can do regarding your Ace Tanker emblems. I can assure you though that here at Wargaming.net support, we dedicate ourselves in making sure that all of our players' issues are addressed. If it's something beyond our scope, we'll still make sure to forward it to the right department just to be sure that you guys are not left hanging. With that being said, we have compiled the feedback that you have given us and submitted it to the Development Team for further review. IDK, I decided to run a tank to earn the emblem and won 3 of them. Great. Where are they?